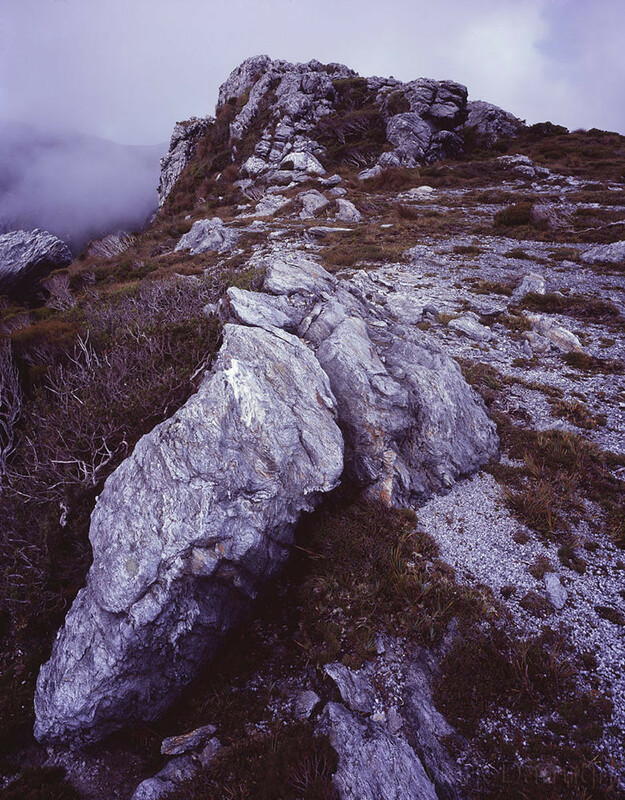 A few photos from the Frankland Range in South West Tasmania earlier in the year. For most of the trip we were walking in the clouds so any photographs were a real bonus. Never been to that part of the country, probably never will as it is a bit late for me to be bush walking in terrain like that. Looks like a real interesting place and after checking on the www I found that you would have been nearing 1,000m for many of the peaks at around 42º Latitude; cool. I like the 150mm image best, not sure about the colour though. Although what I'm seeing, may be the colour that was there, it does look a bit heavy on the magenta side of things. I found I could neutralise the colour using a combination of green and yellow Kodak color print viewing filters. 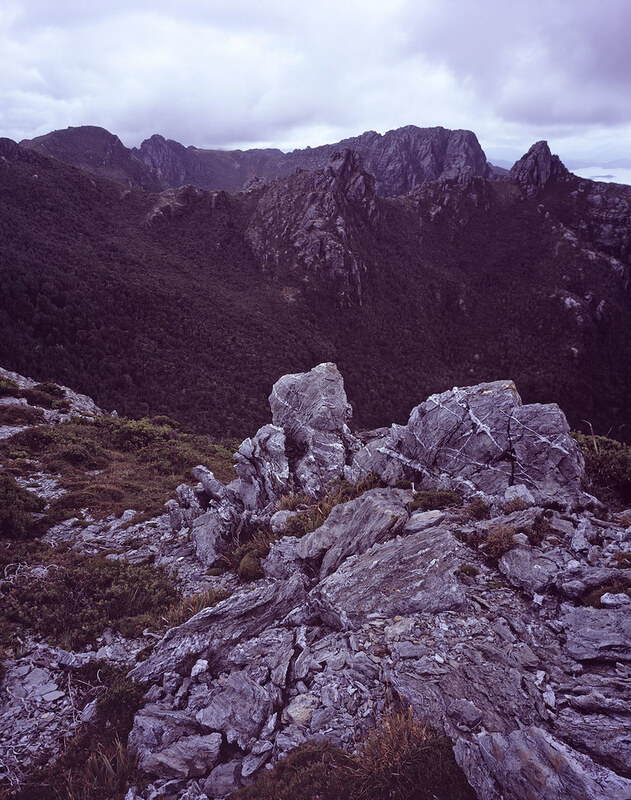 The Ranges of South West Tassie are very rugged and utterly breathtaking but you don’t need to lug a heavy pack to get a taste of what the area is like. On of clear day you can see almost the entire Franklin Range across Lake Pedder from a roadside look out just near Strathgordon. It’s a pretty spectacular roadside view. 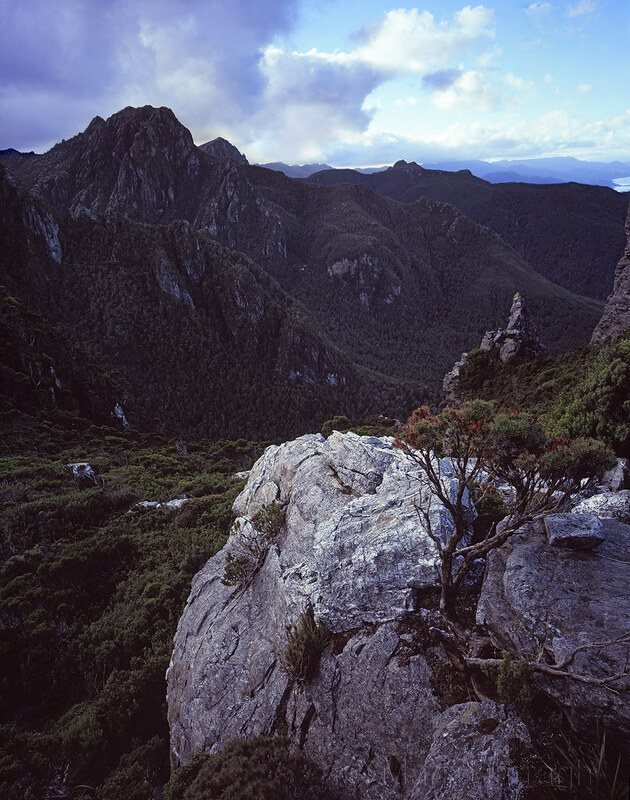 At the Scott’s Peak end of Pedder you get a great view out to the Western Arthur Range to the south and north to the Franklands. Plenty of opportunities await. I haven’t done any colour adjustment to the scans so you’re seeing the dreaded RVP 100 colour palette in all it’s magenta glory. Doesn’t help that the Quickloads are about 10 years old either. Mmm, food for thought there. We have contemplated a trip to Tassie for around 10 years, it is possible that we will do one inside 5 years; will certainly keep this in mind.